Banners are firmly established in the sales and advertising industries. 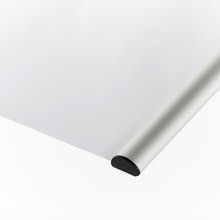 They are commonly used as ceiling banners in sales rooms, for decorating display windows or walls or for partitioning in exhibition rooms. They are also used outdoors as event, bridge or fence banners as an alternative to tarpaulin. Cloth banners are impressive, flexible and original advertising media for indoor and outdoor use. Based on the latest printing procedures, their quality has improved significantly in recent years. Now, one-sided printing is sufficient to achieve vibrant colours and motif reproduction on front and back. With PRINTING.COOP, you receive high-quality textile banners in a range of sizes (0.70 m to 4.00 m in height), four different materials and with a large selection of accessories to meet even the highest demands. With many different sizes, you can easily select the size you want from our quote. If you need a special size, please contact our customer service team. Based on the selected batch size (1-25 units), you will receive a corresponding overall price for your order including delivery charges. Are you a reseller or running a chain of shops? Then save yourself time and avail of our free reseller service. with hemstitch for hanging via wire or tension cords, rods, etc. Terminal strips kits are generally used for hanging in sales rooms so as to hang the banners straight based on the increased weight. They will sway gently in draughts of wind and thus attract even more information. 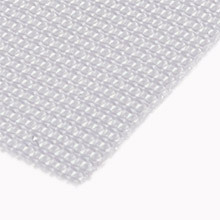 Eyelets and hemstitch are available for outdoor use to ensure stable mounting to fences, bridges or trees. The eyelets are tear-resistant even at wind strength 6. You can select the version you want in our shop. The price is not based on the batch size selected, size or material. 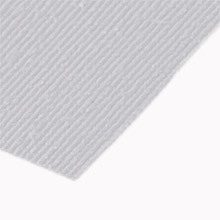 Find the right material and processing type for your cloth banner. We will explain the differences between our four materials, their respective properties, and pros and cons. It is also often used indoors, serving as decorative partitions in sales and exhibition rooms, without hiding the area behind. 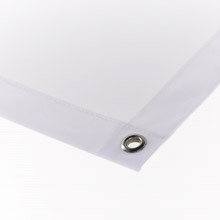 Décor fabric and display materials are opaque and lightweight at 200gsm and 240gsm. The slightly shimmering effect ensures a resplendent showing. 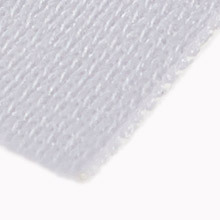 They have a stretch factor of 2% to 6%, ensuring high tear resistance, while the printed image is excellent and sharp, and the material is B1-certified. 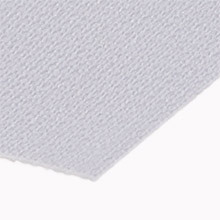 Polyester fabric is an innovative material. 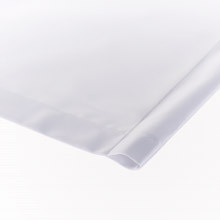 The fabric is sealed up with plastic and is therefore perfect for outdoor use. It ensures maximum opaqueness and is relatively heavy at 330gsm. Motifs are printed in high resolution and with exceptional colours. Bulges are barely visible and the surface is napped so no light can be reflected. The material can be wiped down and is very easy to maintain. Our cloth banners with Airtex are also flame-retardant and extremely durable. You can also go for our PVC tarpaulins or mesh banners. With their high durability, these are well-suited for outdoor use and can withstand even the strongest winds. Our friendly customer service team would be happy to help you choose the right tarpaulin or cloth banner for you. Printing cloth banners in our print shop is not rocket science. In just a few simple steps, you can order them online: Choose the desired size, specify the material and place your order. Then you submit your textile banner models to us. Thanks to our artwork check, you are sure to have optimal print results. We check your print templates for potential issues and contact you immediately if we find any errors.